Nordisk Panorama Film Festival 2017 is featuring a special focus on Finnish film and creativity during this year´s film festival. The Finnish Focus put focus on great Finnish films and creative works produced recently as well as over the past decades. Nordisk Panorama Film Festival wants you to explore the uniqueness of each of the countries within the Nordic family. 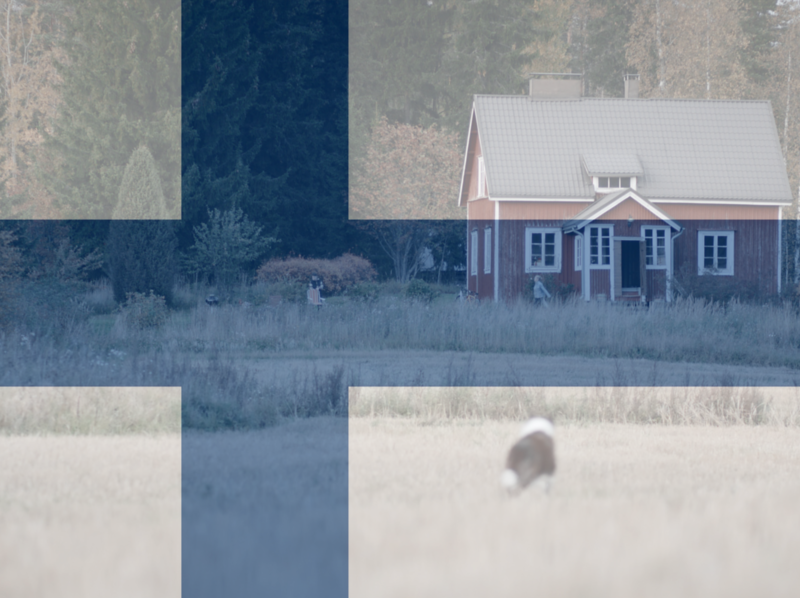 Every year we put our ears to the ground of one of the Nordic countries to explore what is happening, and this year we make an effort to allow audience and industry professionals to experience Finnish film and art. This film programme compiled by the artist Mika Taanila looks at the short but rich tradition of experimental film and video art in Finland. The works range from historical celluloid landmarks to analogue video art, and finally to more recent digital gems. The focus here is on cinematic concept, structural approach and sound, rather than on obsessive storytelling. Supported by the AV-arkki Distribution Centre for Finnish Media Art. Cameraless Excursions Masterclass by Mika Taanila Finnish filmmaker and visual artist Mika Taanila talks about his projects with cameraless and conceptual films. The session deals with alternative ways of approaching the art of the moving image. Rooted deeply in film history and cinephilia, Taanila’s artistic practice covers a range of techniques, from direct photocopying of film and collage to found footage and even series of cinematic works without moving images. Taanila’s recent experimental feature, “Tectonic Plate”, will be screened as part of the festival programme. Think stuffed animals, top-notch athletics, glamour, sisterhood and girl power as you prepare yourself for the opening of Nordisk Panorama’s 28th edition, featuring the Finnish documentary “Hobbyhorse Revolution”. Coinciding with the centenary of Finnish independence, Nordisk Panorama in collaboration with five libraries in Malmö, presents this stunning selection of 12 Finnish animated short films, spanning the period 1962-2015. “Let’s get naked! How better to celebrate this year’s Finnish Focus at Nordisk Panorama than with a Friday evening sauna bonanza? Start off with a skinny dip and sauna session while the sun sets over the Öresund Strait. Then move on to the restaurant, where the night continues with food and drink and a screening of the documentary classic “Steam of Life”. The ticket price includes the sauna and screening, while you pay separately for your own choice of food and drink. Start the day with Finnish film and a delicious breakfast in cosy Bar Deco at Spegeln. You can buy your breakfast from 09.30 to 10.00 and take it into the cinema. To celebrate this year’s Finnish Focus, you are invited to a once in a lifetime scream-along cinema screening of 2003 cult documentary “Screaming Men”. Mieskuoro Huutajat is a choir with a difference – a choir that never sings a note. Instead its members scream, bellow and shout. The whole thing began with spontaneous performances in streets and spectacular beauty spots, but now the choir has become a popular ambassador for Finnish art. The producers and director of Hobbyhorse Revolution talk about the creative and business collaboration behind the documentary’s international success. How did a girly horse subject become a hot topic overnight all over the world? We’ve created a unique hobbyhorse pop-up event after the film where you get to try your hand at Hobbyhorse jumping together with the leading ladies from the film. A narrative virtual reality short film following a contemporary dance choreographer’s struggle to create a contemporary masterpiece. The film depicts the Finnish vessel Herakles’ journey from Buenos Aires and Malmö during wartime in 1940. The script is based on archived material from Malmö Stadsarkiv. This animated short film is a co-production between the children’s group of Malmö Soumi Organisation, Kulturskolan Mazetti and Malmö Stadsarkiv.